The youngest Oracle in the Realm, Luna wields her trident to summon the gods. 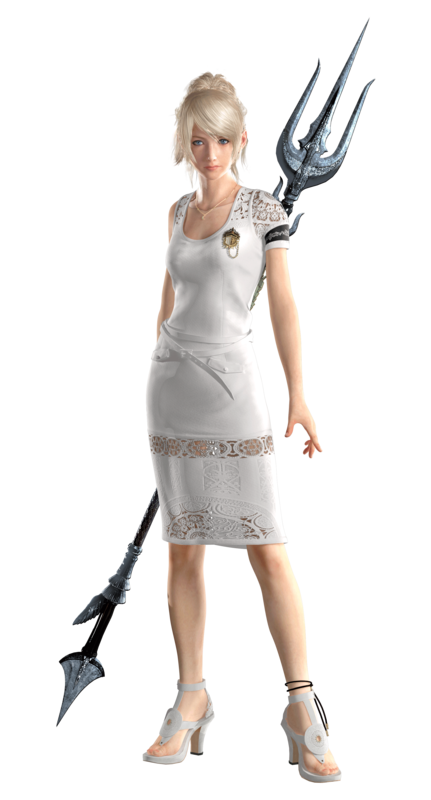 Noctis’ childhood friend and later his betrothed, she commits herself to protecting her people against the Starscourge plague. The former princess of Tenebrae calls upon her two dogs, Pryna and Umbra, to deliver messages between kingdoms. Luna specializes in Defense & Recovery and Mage Troops.